When it’s vacation time, there are three big expenses to think about: airfare (if you’re flying), hotels and food. There are, however, some smaller costs that may slip under your radar. These small costs could turn into big chunks of your vacation budget! We’re giving you the heads-up on those so you can plan for them then focus on what’s really important: enjoying your trip! Here are nine hidden expenses to consider when going on vacation. 1. 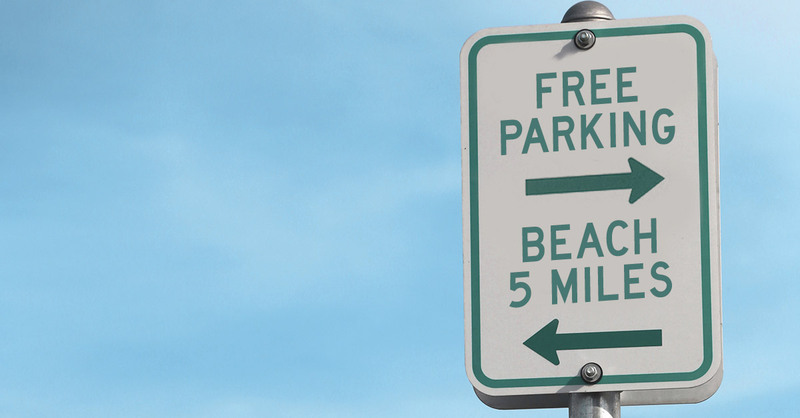 Parking: Whether you go to a big city or the beach, you’ll likely visit some places where parking isn’t free. Put aside some coins to feed those meters or a few bucks to pay for that space in the downtown garage for a few hours. Then you’ll be able to stick to your sightseeing schedule. 2. Snacks and drinks: You’ll probably be busy on your trip, whether it’s walking, swimming, hiking, or some other activity. Three meals a day might not be enough to keep the hunger away. Bring along some money for snacks and drinks, especially if you have kids. Full bellies mean fun vacations. 3. Tips: Remember money for your restaurant server or hotel bellhop. You can even surprise them with a super-generous tip if they give great service! 4. Sunscreen and sand toys: Heading to the beach? Don’t forget to buy sunscreen for those long, lazy days in the sun. If you have kids, they’ll probably want to use the sand for building sandcastles—or for burying you—so purchase toys for those purposes. That will keep the little ones entertained and you relaxed. 5. Cab/bus transportation: If you fly to your destination, chances are you’ll need a cab or bus at some point to see the city, go to dinner, or visit the tourist spots. Grab some cash before you leave your room each day, and keep small bills and coins handy in case the bus only takes exact change. 6. Passport: You need a passport if you cross a border or ocean on your getaway. Those can run you a few hundred dollars if you bring your children along. It also takes time to apply for passports and have them mailed to you, so factor that into your schedule. 7. Currency costs: Going to another country means swapping dollars for euros, pounds or some other currency. Sometimes you must pay a fee for the new money. You may also pay a charge for traveler’s checks, or it may simply be that the dollar is weaker than your destination’s currency so you can’t buy as much. Whatever the situation is, the best way to handle it is to make room in your spending plan. 8. Extra baggage charge: Some airlines charge a fee if your luggage is too big or you bring more than one bag. If you can’t squeeze all your clothes into one suitcase, then squeeze some extra cash into your budget to cover the baggage cost. 9. Rainy day fund: Unfortunately, rain may force you inside during your trip. That’s bad news if you visit the beach or a theme park. Budget a little extra for these bad-weather days so you can go see a movie during a downpour. That keeps you from feeling stuck in your room. It’s smart to have a plan for your money when you are heading out on vacation. By making a game plan before you leave, you’re leaving room for those small hidden costs so they won’t get in the way of your fun. Now go enjoy your vacation!